Rehmat Ajmal is a Pakistan based emerging model who has been a part of number of successful campaigns for big brands like Nishaat. If you follow her career path, she has proven to be one of the very few, yet very talented and hardworking emerging artists. 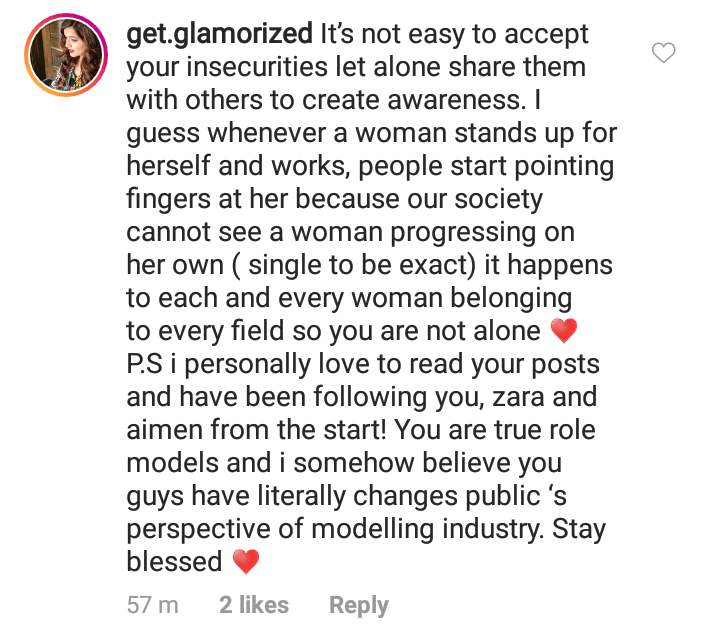 She is not only a model but a painter, a writer. 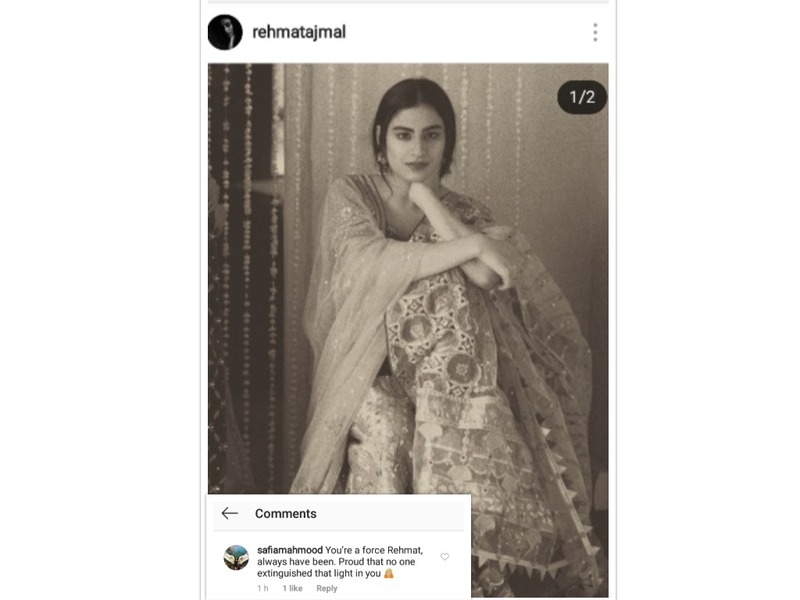 Today, Rehmat shared an incredibly thoughtful post on her instagram account, giving an insight into the struggles she has faced pursuing her career and the power of words and how people should be more thoughtful about the things they say and put out into this world. The message sent out by the young artist is simple – appreciate all art forms and use words thoughtfully and just be kind and human in general. What do our readers think about this? Do let us know in the comments section below!